Right off the bat, day one was Capitol Hill Day, and damn did it start early! 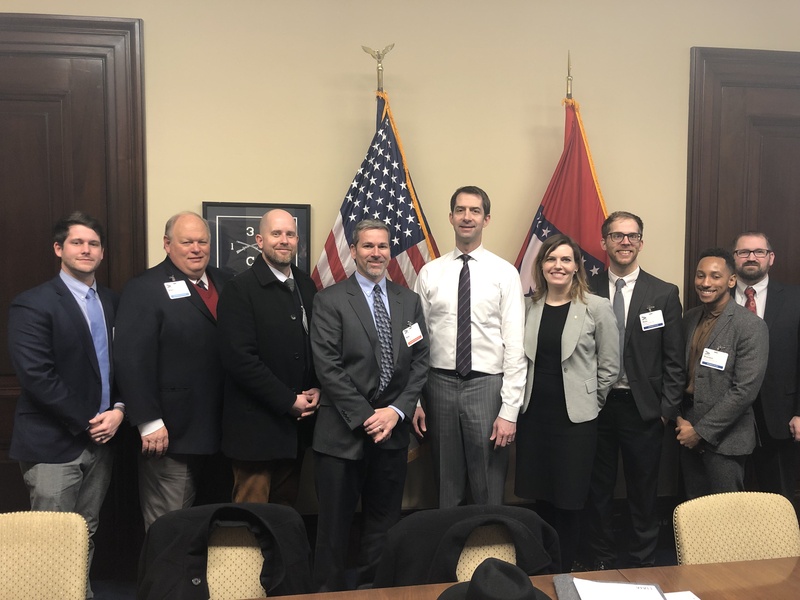 Every state chapter had a full schedule of meetings, and after an extensive breakfast strategy session, the Arkansas team was well prepared to talk with our state senators and representatives. Our main focus was the very prominent and sensitive topic of school safety. Specifically, we discussed the utilization of architectural design as a potential solution in mitigating violence and maintaining a positive learning environment for students and teachers. We made a case that by looking at the whole picture as it relates to layout, lighting, access points, and lines of sight, we can begin to incorporate effective yet passive, if not invisible, security measures. 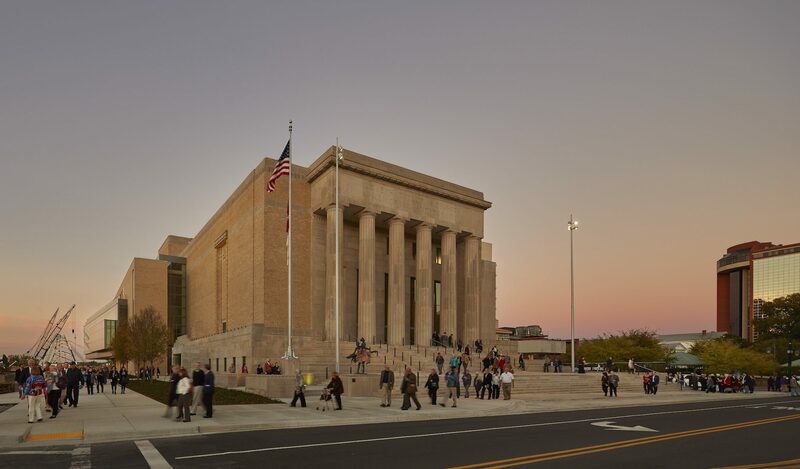 While even as architects, we are the first to say that design cannot prevent school violence, but we must use our knowledge and expertise to assist in this national issue. As an architect who works on many K-12 schools, this hit home for me personally, and I truly feel that my heartfelt words were heard that day on The Hill. The next few days were a little more relaxed, at least they didn’t require a tie anyway, and were filled with educational workshops focused on expanding our leadership abilities by sharpening skills and exploring the potential of both previously successful and new paths for architects. The first of these workshops was a 90 minute session titled “Speak Like a Pro” which covered everything from dynamic openings and storytelling to believability and action oriented closings. After a classic buffet-style network luncheon, I headed to “The Role of Architects in Disaster Assistance.” In this session, I listened to three interesting, yet tangible success stories that have inspired me to get involved before, during, and after disasters. I followed up with the AIA Resilient Communities Senior Manager Lindsay Brugger, who offered me a copy of the VERY large disaster assistance handbook (which I politely declined due to “no more room in my luggage”). My conversation with Lindsay led me to include a Safety Assessment Program (SAP) Training Session and Certification to my task list. 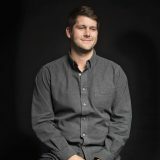 Fellow modus studio architect Michael Pope and I hope to create enough momentum to have a training session hosted in our area, so if anyone is interested in this, let us know! While I could continue to go on about the awesome keynote speakers, and tell you all about how AIA President William Bates and AIA CEO Robert Ivey discussed the important and pressing issues in our profession, I’ll skip to the fun part of the trip I was fortunate enough to experience in my “free time.” No, I’m not talking about all the scooter rides and the basketball game. I’m talking about seeing my name, my alma mater, and my architectural hero’s name on a set of drawings in the Library of Congress. In 2010, I was in a summer class at the Fay Jones School of Architecture + Design, led by Associate Professor Greg Herman, in which we documented the home of E. Fay and Gus Jones for the first time in detail. These drawings are the first place winners of the 2010 Charles E. Peterson Prize and were to be archived forever at the Library of Congress in Washington, D.C. Not that I have trust issues, but I just had to see them in that building with my own eyes. It was a proud moment, and a great walk down memory lane. It continues to be an honor to sit beside, communicate, and be associated with so many great AIA Arkansas board members and section chairs. Grassroots 2019 was another invigorating experience that reminds me why I continue to volunteer with great organizations like the American Institute of Architects. 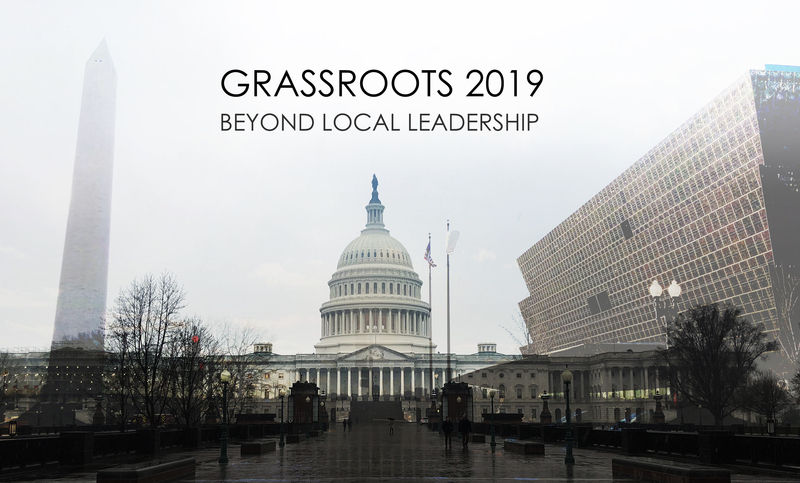 I want to thank modus studio for continuing to foster personal growth and professional development in this way by encouraging this level of participation, and thank everyone else involved in Grassroots 2019 for urging us all to push beyond local leadership.